Process Service in All 39 Counties in Washington! ﻿At Associated Services we take pride in the service of process done right the very first time. Adams County is the 14th largest county in Washington State. It should be said that two-thirds of the county’s population live in rural parts. Since 1883 this area has been considered to be an agricultural county. Wheat, apples, corn and potatoes are mostly grown in the county. The county’s employment is also provided by the vegetable processing and fruit processing industries, the main ones are potato processing and French fry manufacturing. The economy of Adams County is rooted in agriculture and livestock while interspersed with recreation and tourism opportunities that feature pre-historic ice-age flood channels, lakes and streams. 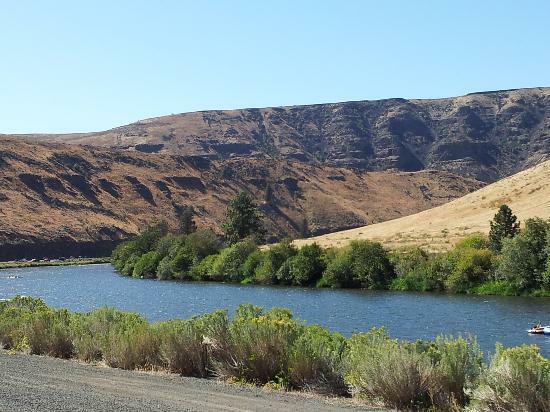 ​Asotin County is situated in the southeast part of Washington. The largest town is Clarkston with the population of about 8,000 people. Seven miles from Clarkston the town of Asotin is situated. Asotin is the county seat. With the territory of 636 square miles this county is the sixth smallest county in Washington. The territory of the county differs a lot, in the north and central regions there are agricultural areas, on the south the territory is rugged and is full of creeks and gullies. The river and highway system pair with available industrial land, tax incentives and an educated workforce to provide small-town hospitality with a commitment to business and industry. Formed in 1847, Benton county is located near the junction of the Columbia River, Snake and Yakima Rivers, in the southeast part of Washington State. Nowadays the county is considered to be a great agricultural county, though originally the land here was dry. Farm crops are produced here thanks to irrigation that started in the 1890s. County grows alfalfa, wheat, and potatoes. The county seat is Prosser; the largest cities are Kennewick, Richland, Benton City and West Richland. Benton County was named after Missouri Senator Thomas Hart Benton. The metropolitan service area within Benton County is highly focused on technology and ranks highly as one of the most secure mid-sized cities in America. 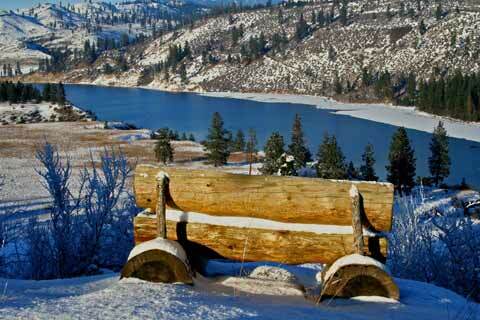 Chelan County is known for its great summers with beautiful weather and blue lake. This county is located on the territory where the Cascades Mountains and the eastern part of Washington desert are joined together. 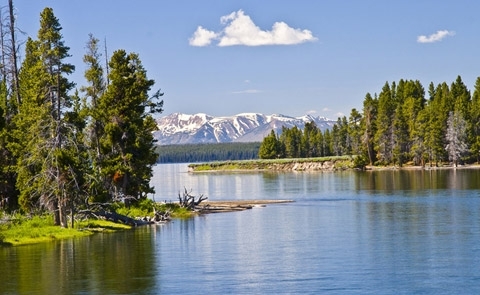 The main attractions here are, of course, the views of the superb mountains, rivers and lakes. 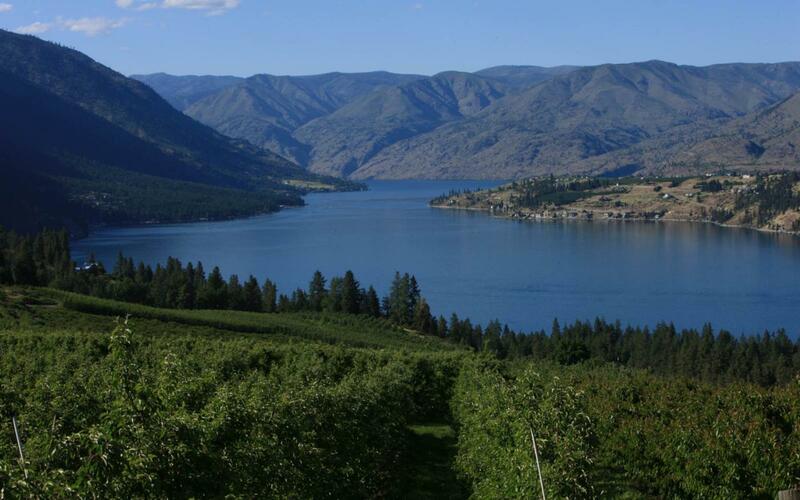 Lake Chelan is a glacier-fed lake and is one of the must-see attractions in the area. Travelers come to the lake to enjoy endless opportunities of water recreation, such as water-skiing, kayaking, canoeing, rowing, tubing windsurfing, etc. Centrally located in Washington State, Chelan County provides easy access to domestic and international markets, some of the lowest power rates in the country, and healthy and vibrant agriculture and tourism industries. Clallam County's peninsula location makes it a natural choice for resource industries. This county is characterized by beautiful mountains, unusual forests, rugged coastlines and wonderful mild marine climate. Douglas fir, red cedar, western hemlock, Sitka spruce, and other giant trees have been important part for the economy of the county. Still forestry remains important, but not the leading industry. Snowcapped Olympic Mountains are considered to be the centerpiece of Clallam County. 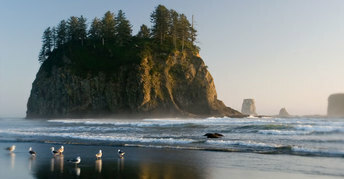 They are located in the Olympic National Park, the most visited place of the county. ​Clark County is a beautiful land of contrasts. It is located in the southwestern part of Washington and is a part of the Portland-Vancouver metropolitan area. The county’s area is 656 square miles; the largest city is the county seat Vancouver. Clark County is borderedon the west and south by the Columbia River. This is the first county of Washington State that was named after William Clark from the famous Lewis and Clark Expedition. 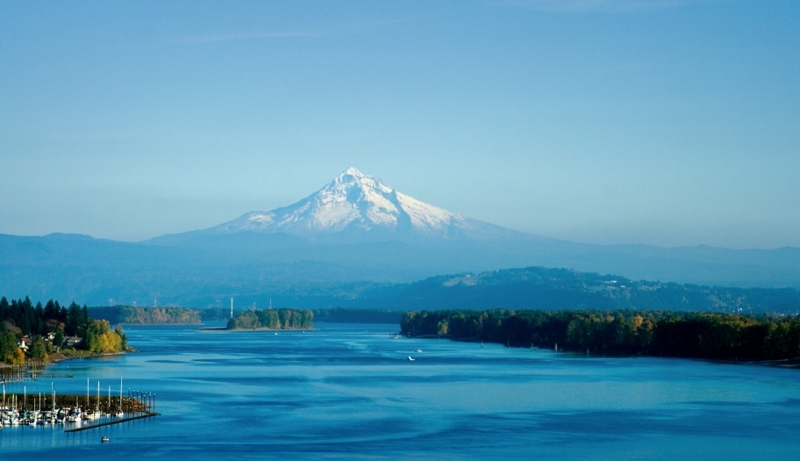 Clark County is famous for its’ beautiful mountains: Mount Hood, Mount Saint Helens and Mount Adams. All of them offer wonderful recreation and hiking opportunities. A focus on semi-conductors, high technology and services makes Clark County a hub for innovation. ​Columbia County is located in the southeastern part of Washington State. The county is the third-least populous county in the State. The largest city is its’ county seat Dayton, which is known for the historic preservation of the city’s downtown. Its’ name the county received after the Columbia River. 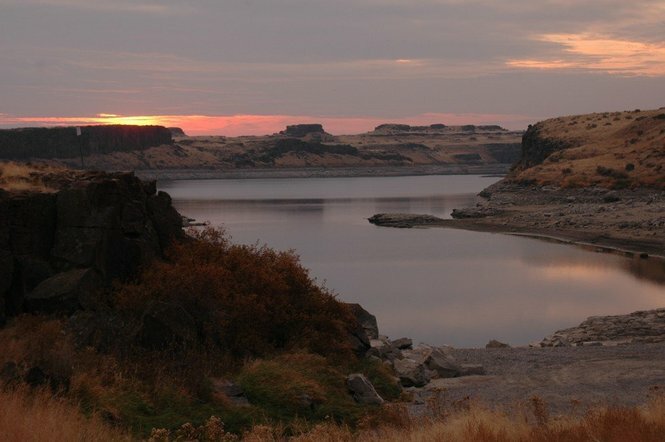 Columbia County is bordered by the Snake River and Whitman County to the north, the Oregon State to the south, Walla Walla County to the west and Garfield County to the east. The county was created out of Walla Walla County in 1875. The main industries are agriculture and food processing, ranching and logging also play an important role in the economy of the county. Columbia County is known for growing asparagus, green peas and especially wheat. Significant infrastructure provides easy global access for Columbia County businesses. Cowlitz County was created in 1854. The territory of the county is 1,166 square miles and it is located in the southwestern part of Washington State. Most population of Cowlitz County lives in the incorporated cities of Kelso, Longview, Woodland, Castle Rock and Kalama. Cowlitz County was also named the Timber Capital of the World, there are Douglas firs, western cedar trees and hemlock. The county still produces logs, but this industry is not dominant. After the 1980 eruption of Mt. St. Helens, tourist has become one of the major industries in this region. 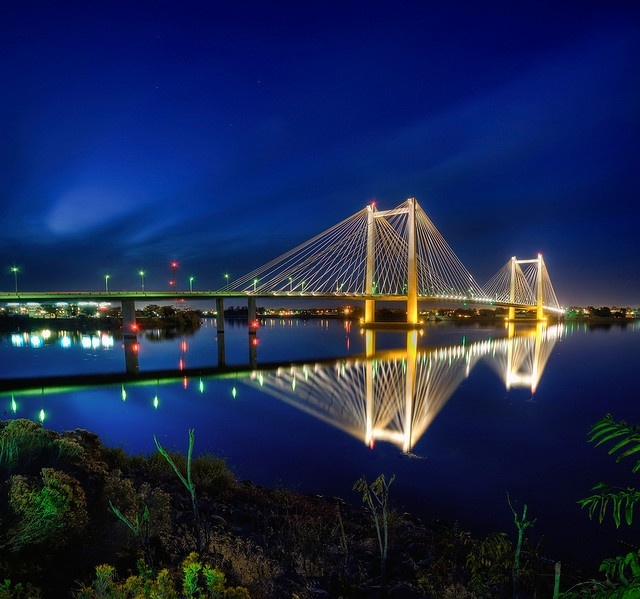 Key designations make Cowlitz County a natural choice for businesses seeking global markets. Douglas County is number seventeen in size on the list of all Washington’s counties. Geographically, this county is very diverse. The main industry in the county is agriculture. Apples, wheat, pears and cherries are the main agricultural products here. Predominantly, Douglas County is a rural county with the population of about 40, 000 people. The County Seat is Waterville. The largest cities are East Wenatchee and Bridgeport. Affordable power and land, broadband, competitive labor rates and year-round recreation combine to make Douglas County a top choice for businesses. The biggest part of Ferry county is occupied by the Colville National Forest and the Colville Indian Reservation. Historically, such industries as gold mining, timber and agriculture played a very important role, but with year their role in the economy of the county had declined significantly. Nowadays, tourism, fishing and hunting help to support the economy of the county. 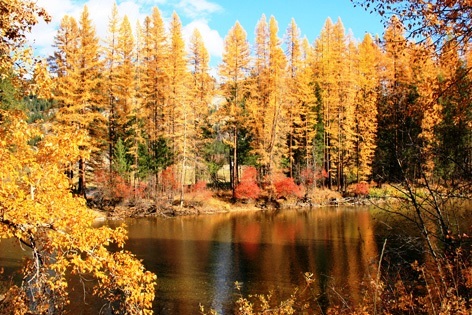 Affordable land and diverse cultural and recreational opportunities set Ferry County apart as a unique place for business. 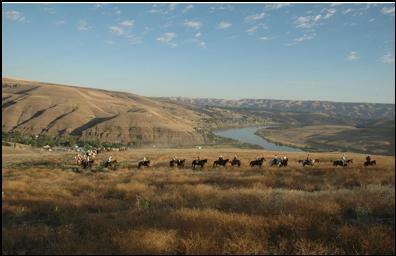 Franklin County is located in the picturesque part of Eastern Washington. The county was established in 1883 and was named in honor of Benjamin Franklin. Franklin County borders with Adams County to the north, Whitman County to the east, Walla Walla County and Columbia County to the southeast, Benton County to the southwest and Grant County to the northwest. The largest city and its’ county seat is Pasco. Franklin County is a top choice for companies seeking access to major markets and affordable power. Garfield County is located in the southeastern part of Washington State. With the population of 2,256 people, Garfield County is the least populated county in the state. And with the area of 718 square miles, the county is considered to be the seventh-smallest in Washington State. Garfield County borders with Whitman County to the north, with Wallowa County and Oregon State to the south, with Asotin County to the east and to the west it borders with Columbia County. The largest town of the county and its county seat is Pomeroy. Agriculture has been the major industry in the county. Agricultural farms occupy two-thirds of the territory; the main crop is wheat, though other grains, such as barley, are also grown. Garfield County offers a quality educational system, strong local health services and year-round recreation for both businesses and families. Grant County is located in the central part of the State of Washington. The territory of the county is 2,791 square miles; this fact makes this county the forth largest in state. The county was created out of Douglas County in 1909 and was named in honor of U.S. President Ulysses S. Grant. The county seat is Ephrata and the largest city is Moses Lake. It should be also said that the county is located in the Columbia Basin region. Grant County is an excellent choice for industrial expansion due to a ready and able workforce, affordable power and land and an extensive transportation network. Grays Harbor County is located in the center of the State of Washington on the Pacific Coast. 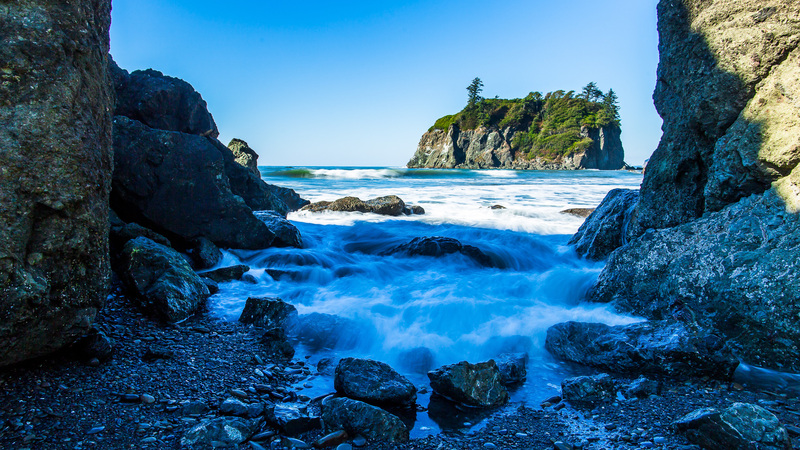 The county has more than 50 miles of the most beautiful ocean shore, dense rain forests of the Olympic National Park and numerous opportunities for recreation. Grays Harbor County is a great place to run away from big cities and enjoy quiet weekend near the ocean. The largest city of the county is Aberdeen and the county seat is Montesano. The county received its’ name from a large bay near the city of Aberdeen. The climate of this coastal region is temperate, which is characterized by mild temperatures all the year round. Even in winter, the temperature usually doesn’t fall below freezing level. 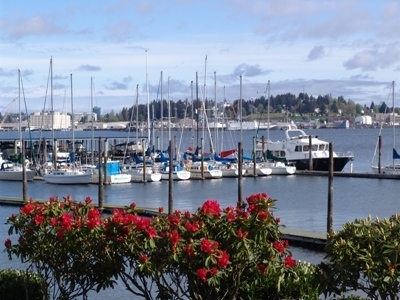 ​Washington's only deep water port on the Pacific Ocean, Grays Harbor County is emerging as a leader in green manufacturing, seafood processing, boat building, shipping, agriculture and tourism. 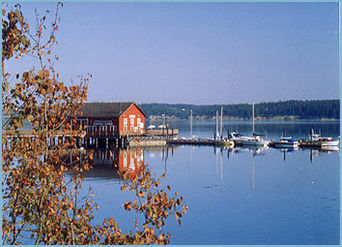 Island County consists of two large islands (Whidbey Island and Camano Island) and of seven smaller islands. Smaller islands include Baby, Ben Ure, Deception, Kalamut, Minor, Smith and Strawberry islands. The population of the county is about 78,000 people. 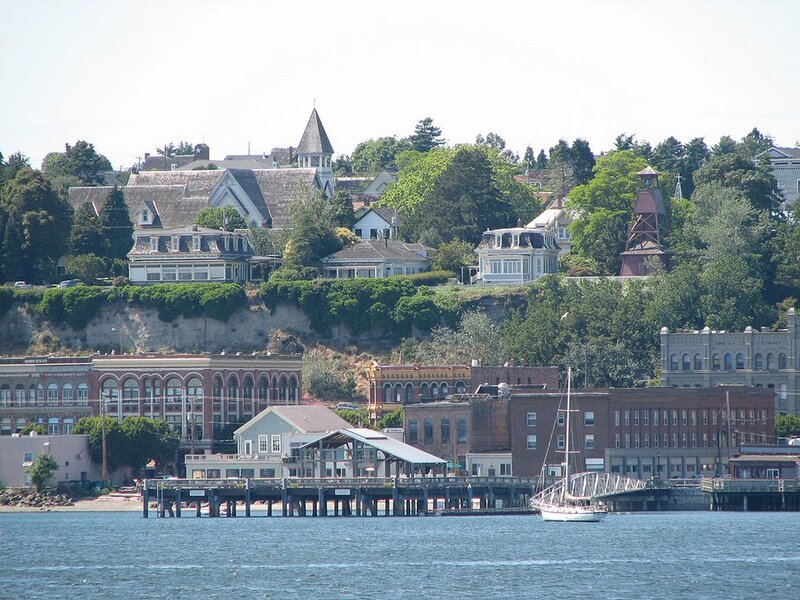 Its’ seat is the city of Coupeville. 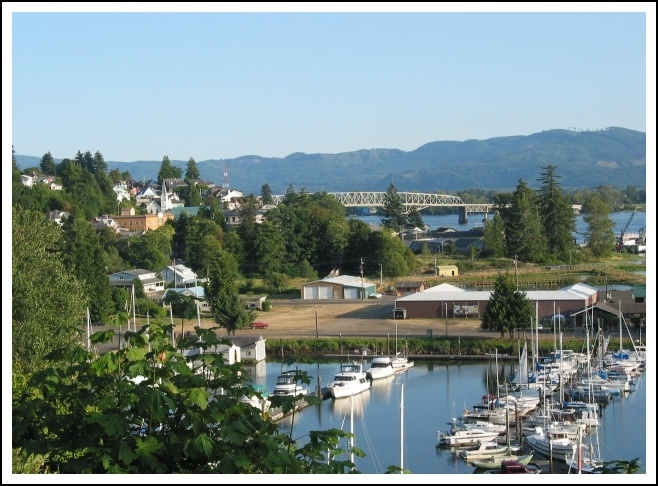 The largest city is Oak Harbor. It should be mentioned that Island County was created out of Thurson County in 1852, it is also considered to be the 8-th oldest in the state, but the second smallest by landmass. It is located to the west of Snohomish and Skagit Counties. Whidbey and Camano Islands are two settled islands that are considered to be great destinations for holidays. Whidbey Island is the fifth longest in U.S. and has 148 miles of shoreline, Camano Island is 16 miles long and has only 52 miles of shoreline. Low crime and high scholastic achievement have created a strong environment for business ownership. Jefferson County is located on the Olympic Peninsula in the northwestern part of Washington State. The county is located between Clallam, Mason, Kitsap, Grays Harbor counties and the Admiralty Inlet. Jefferson County was named in honor of President Thomas Jefferson. The population of the county is around 30,000 people. The county seat is Port Townsend. Jefferson County is connected to Kitsap County by the Hood Canal Bridge. The Washington State Ferries take visitors from the Keystone-Port Townsend to Whidbey Island. Arts and culture, marine technology, manufacturing, tourism and agriculture combine to form the cornerstones of Jefferson County's economy. ​King County is the 13th largest county which is considered to be a great place for living. The county is situated between the magnificent Cascades and majestic Puget Sound. It borders Pierce County to the south and Snohomish County to the north.It should be said that King County and the city of Seattle, county seat, are the most populous in Washington State. There are more than 2 million residents who live and work in this region, but about 65% of residents live in suburbs. King County is the 11th county in the state in terms of land area. This county is also on the list of 100 counties with the highest income. King County is home for such world-known companies as Boeing, Microsoft and Starbucks. 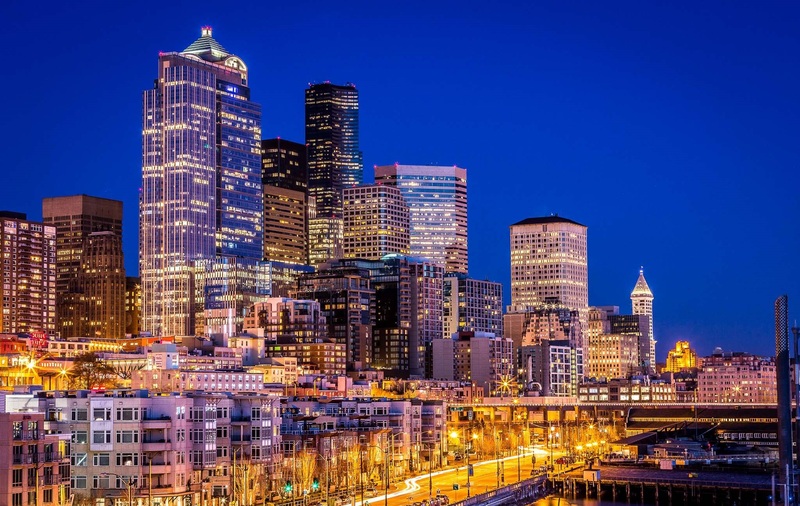 The highly educated workforce, exceptional quality of life, entrepreneurial culture, and strategic location - midway between Asia and Europe - attract companies to King County. Kitsap County is a county of Washington State that has the population of 253,968 and with the territory of 566 square miles. The county seat is Port Orchard, but the largest city is Bremerton. The county borders with Jefferson, Mason, Pierce, Snohomish, Island and King County. Kitsap County is connected to Puget Sound by Washington State Ferries routes, which are considered to be popular attractions among tourists. A diverse economy and picturesque oceanfront setting make Kitsap County a top choice for business. Kittitas County is one of the counties in Washington State. This county borders with Chelan County to the North, with Douglas County to the Northeast, with Grant County to the East, with Yakima County to the South, with Pierce County to the West and with King County to the Northwest. The territory of the county is 2,333 square miles with the population of 41,765 people. County Seat and the largest city in the county is Ellensburg. Kittitas County was formed in 1883 after separation from Yakima County. 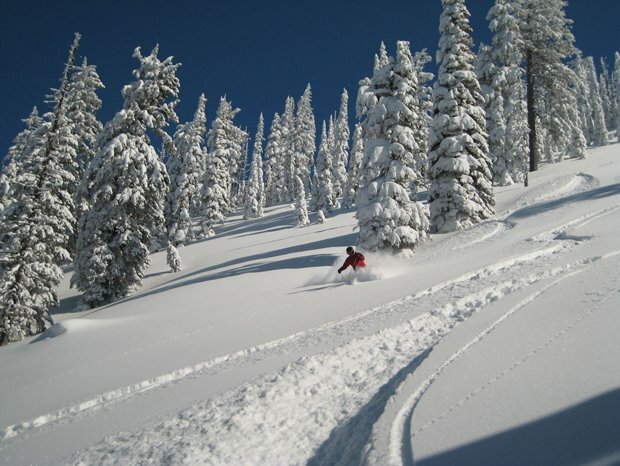 Centrally located at the crossroads of two major interstates in the heart of Washington state, Kittitas County boasts a mix of towering timbered mountains and expansive range land. Klickitat County is located in the central part of Washington State and is considered to be very diverse both culturally and historically. The area of the county is 1,904 square miles and the population is 20,866. 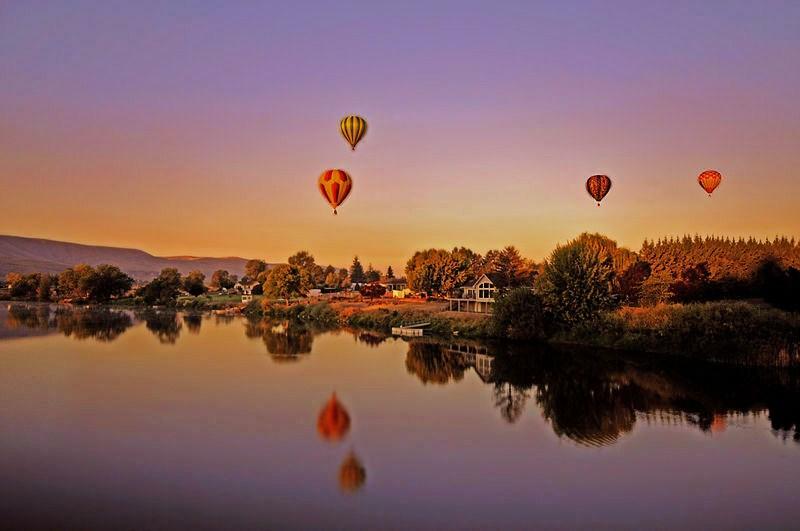 Klickitat County is home for the most popular attractions, including the Cascade Mountains, the Mount Adams Recreation Area and the Gifford Pinchot National Forest. County Seat and the largest city in the county is Goldendale. Conveniently located along a major interstate between Seattle and Portland, Klickitat County's affordable land and workforce make it a natural choice for business. Lewis County is a county in Washington State. The territory of the county comprises 2,436 square miles and the population of the county is a little bit more than 75,000. Lewis County was created in 1845 and originally it was named Meriwether Lewis. The county was formed out of Clark County (originally Vancouver District). Businesses have flourished in the supportive environment deliberately created in Lewis County, resulting in solid business growth and expansion. Lincoln County is located in the eastern part of the State of Washington. The territory of the county is 2,310 square miles. The climate of Lincoln County makes it perfect for agriculture and recreation. The population of the county is 10,301. Its’ largest city and county seat is Davenport. Lincoln County was created out of Whitman County in 1883 and was named in honor of Abraham Lincoln. Business and community leaders are diversifying the county's economic base by adding value to their resources and utilizing the low real estate prices to attract new business. Mason County is a county in Washington State. The territory of the county is 1,051 square miles, and the population is 60,497. The county borders with Jefferson, Kitsap, Pierce, Thurston and Grays Harbor Counties. The largest city of the county and its’ county seat is Shelton. Mason County provides great recreational opportunities. 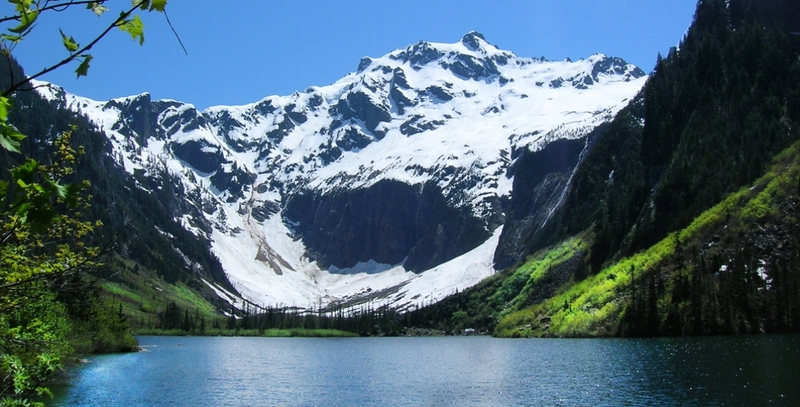 Tourists and residents of the county have the opportunity to visit Olympic National Park and numerous lakes that are found here. Mason County provides easy access to major interstates, affordable land and economic engine driven by value-added forest products, manufacturing and shellfish industries. 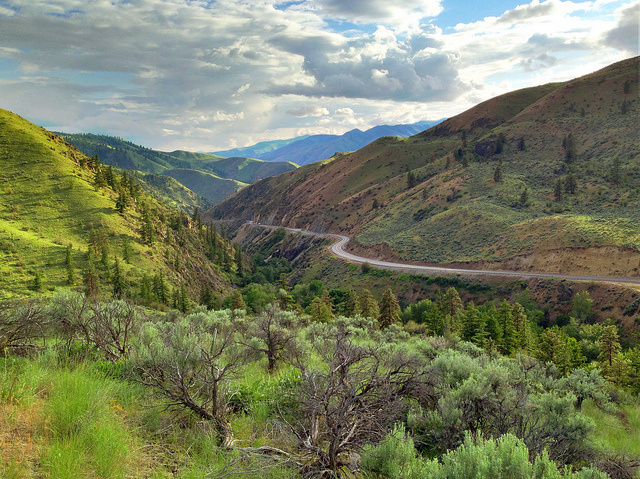 ​Okanogan County is the largest county in Washington State. The territory of the county is 5,315 square miles. It borders with Ferry, Lincoln, Grant, Douglas, Chelan, Skagit, Whatcom County, Fraser Valley Regional District of British Columbia, Okanagan-Similkameen Regional District of British Columbia and Kootenay Boundary Regional District of British Columbia. The population of the county is 41,193. Its’ largest city is Omak, but the county seat is Okanogan. It should be mentioned that the first county seat was the city of Ruby, but now it is a ghost town. About 20% of all the residents live in the Great Omak Area. With great broadband coverage, technology companies have strategically located in the Methow Valley and throughout the county. Value-added agriculture is also playing a key role in the diversification of Okanogan County's economy. 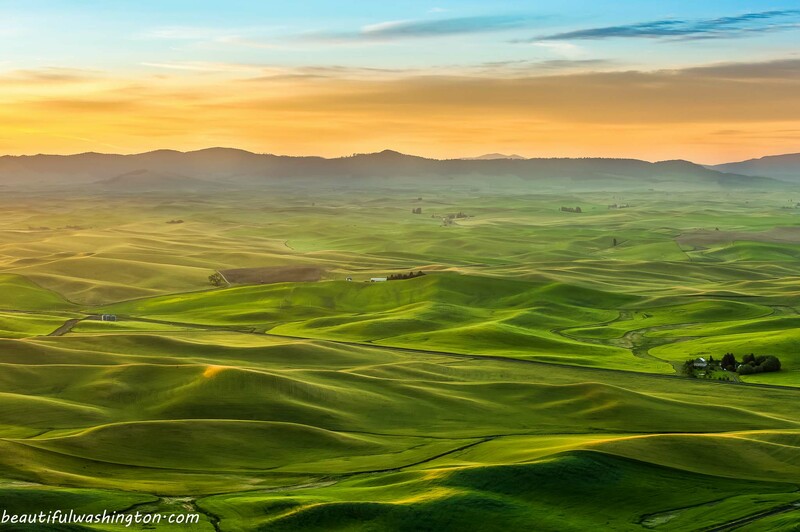 ​Pacific County is located in the southwestern part of Washington State. The county was named after the Pacific Ocean which forms its western border. County’s southern border is formed by the Columbia River and Wahkiakum County. To the north, Pacific County borders with Grays Harbor County and to the east, with Lewis County. Long Beach Peninsula, which is 30 miles long, is the main distinctive feature of the county. Oystering and fishing, lumber and later cranberry farming, dairy farming and tourism are main industries of the county. The area of the county is about 1,223 square miles and the population is about 21,000 people. County seat is South Bend and Raymond is the largest city. With over 25 miles of beach area located along the Pacific Ocean, coastal living in Pacific County provides exciting activities and endless small business possibilities. Pend Oreille County is located in the northeast part of Washington State. To the north the county borders with Canada and to the east with Idaho. The population of the county is 13,001. The largest city is its’ county seat Newport. 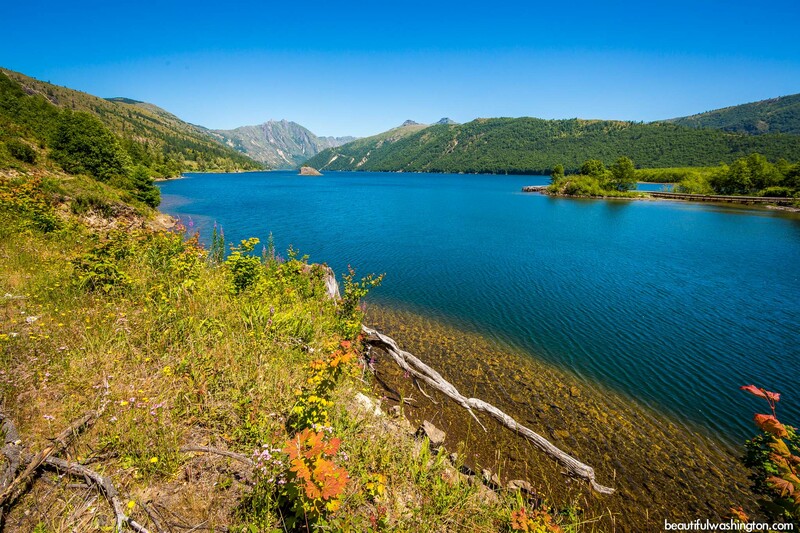 There are 55 lakes on the territory of the county, thousands of acres of wonderful forest. 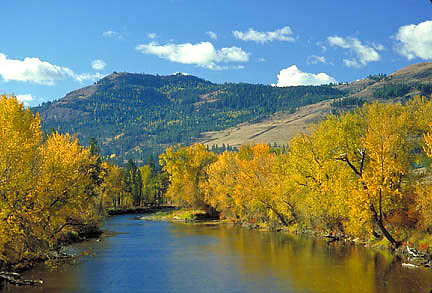 Most of the county is dominated by the mountainous Colville National Forest. 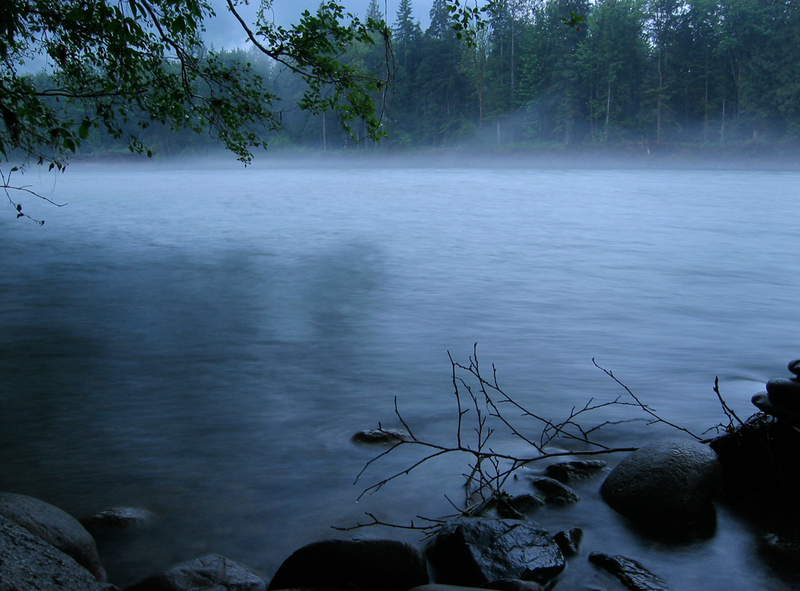 The Pend Oreille River is the main river in the county; it provides electricity and recreational possibilities. 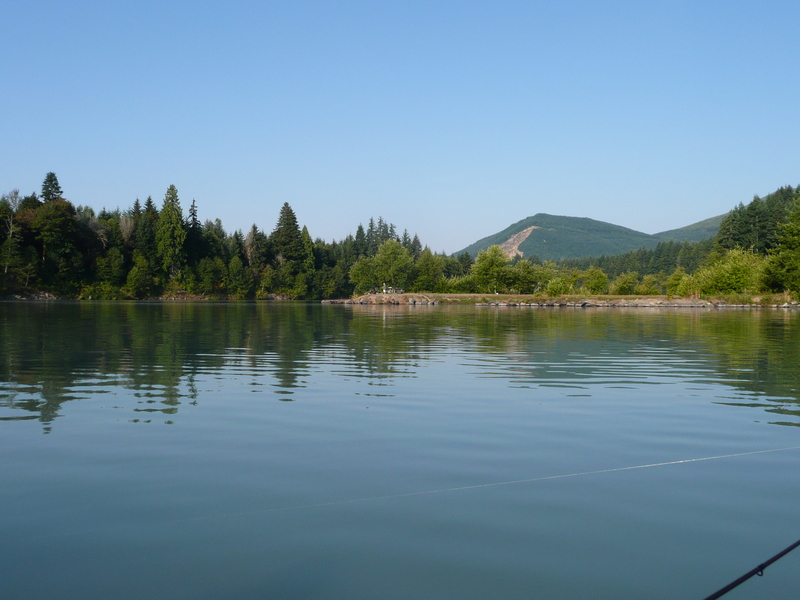 The Pend Oreille River and all the 55 lakes of the county are home for a variety of fish species and birds, such as bald eagles, geese, ospreys, ducks and herons. Light manufacturing, value-added wood products and recreational products are just a few of the industries found within Pend Oreille County. Pierce County is the second most-populous county in Washington State after King County. The population of the county is 819,743. The area of the county is 1,806 square miles. Tacoma is the largest city and the county seat. 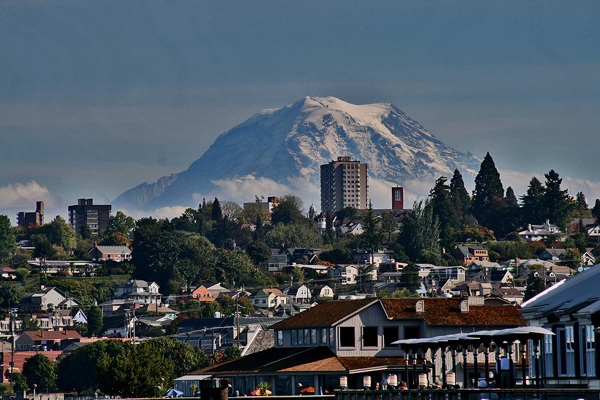 The main geographical feature of the county is the location of the Mount Rainier Volcano on its’ territory. Mount Rainier is the highest mountain in the Cascade Range. The latest eruption of the volcano was between 1820 and 1854, but geologists say and expect the volcano to erupt again. World class companies and innovative entrepreneurs locate in Pierce County for the talented workforce, great business climate and exciting array of housing, cultural and educational choices. San Juan County is located in the Salish Sea and is accessible only by water or air. There are about 700 islands and reefs that can be found between the mainland and Vancouver Island. The sea border in the Haro Strait divides the islands into the Canadian Southern Gulf Islands and the American San Juan Islands. Twenty of the islands are inhabited. The islands are mainly rural, there are not many towns and residents here, but the number of people in this region increases in summer, when visitors come here to enjoy the stunning scenery and wonderful recreational opportunities. 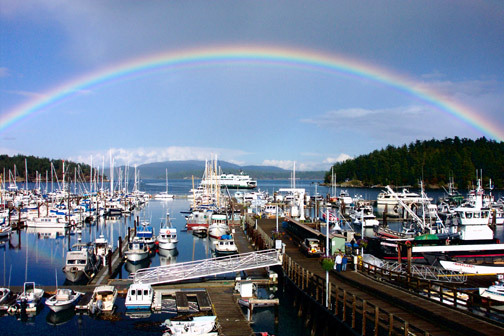 The largest islands in the county are Orcas Island, San Juan and Lopez Island. The San Juan Islands were the subject of a political and territorial dispute between the United States and Great Britain. This dispute led to the Pig War in 1859. Only in 1872, the San Juan Islands became part of the United States, and the next year the county was created. Partnerships with educational institutions such as Skagit Valley College San Juan Center branch or the world-renowned Friday Harbor Labs marine research facility of the University of Washington provide San Juan County with a skilled workforce. Skagit County, a county in Washington State, has a total area of 1,920 square miles. The county is well-known for its fertile and huge valley of the Skagit County, which is a center for tulips and strawberry growing. The county seat is its largest city Mount Vernon. Its’ name the county received from the Skagit Indian tribe that has lived on the territory of nowadays Skagit County since long before white settlement. The Skagit County was formed out of Whatcom County in 1883. Nowadays the county continues to be a rural area. As well as logging and light industries play an important role in the economy of the county. Skagit County today is one of the major producers of cabbage, spinach and table beet in the world. About 50% of the world’s beet and Brussels sprout seed have been grown in the Skagit Valley. An available workforce with a tremendous work ethic, excellent local schools, a great community college, affordable housing, outstanding healthcare and cooperative local agencies make Skagit County a great business location. 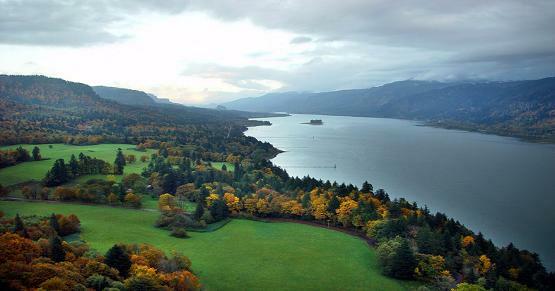 Skamania County is located on the Columbia River I the southwestern part of Washington State. The area of the county is 1,684 square miles with the population of 11,274. County Seat is Stevenson. Skagit County has always had close economy connections with Portland and Oregon. Many years ago logging was the main industry of the county, but it was replaced by tourism. 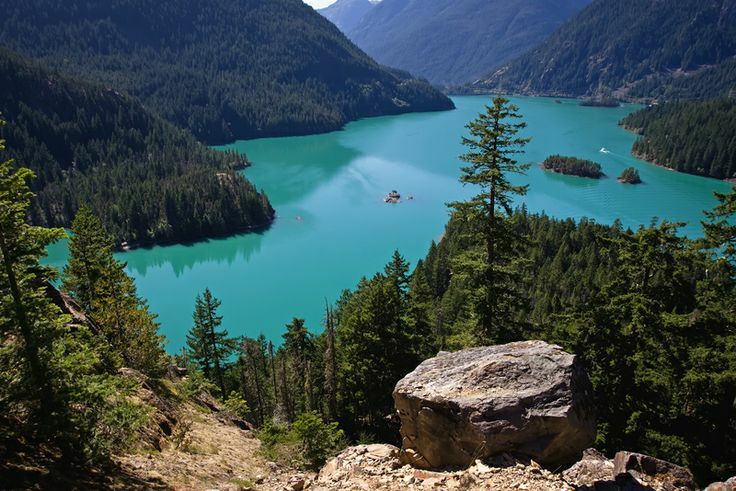 No wonder, because Skamania County is home for such natural attractions as Gifford Pinchot National Forest, Columbia River Gorge, Mt. St. Helens National Volcanic Monument, etc. About 80% of the whole territory of the county is covered with National Forest. Skamania County offers a state-of-the-art telecommunications network, and developing opportunities for education, social and health services, and business services. Located 15 miles north of Seattle, Snohomish is one of the largest counties in Washington State, home to the Boeing company's largest assembly plant as well as thriving cities, rich agricultural land and many small communities that give it its rich character and unparalleled quality of life. The county is located in a very picturesque area between the waters of Puget Sound and the snow-capped Cascade Mountains in the northwest of the State of Washington. 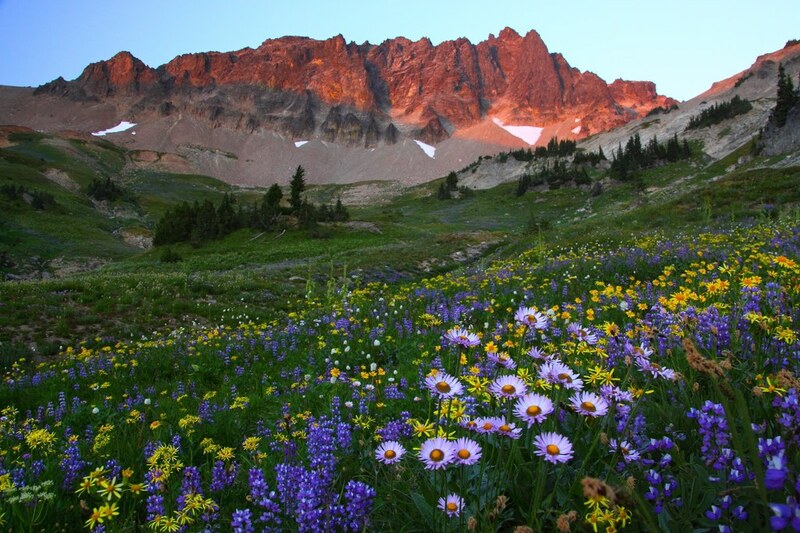 The location of the county is perfect for exploring the entire Pacific Northwest. The population of the county is 745,913; it is the third most populous county in the state. Snohomish County was created out of Island County in 1861 and got its name after the Snohomish tribe. The largest city in the county is its seat Everett. Snohomish County has lots to offer: saltwater beaches, wonderful hills and rich farmlands in the west, dense green forest and alpine wilderness in the east. Glacier Peak is the highest point in Snohomish County. Spokane County is a county in Eastern Washington. 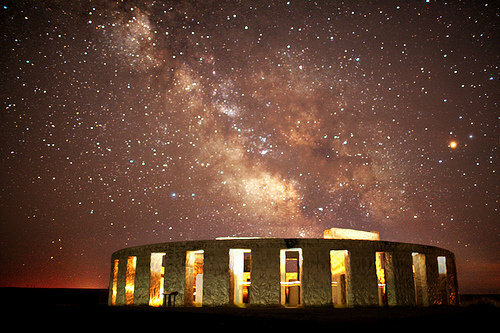 It is most populous and features the second largest city in Washington State. The territory of the county is 1,781 square miles, and the population is 479,398. The largest city and its’ county seat is Spokane. Spokane County was famous for the mining, timber and railroad industries. Cattle ranging and wheat farming also played an important role in the economy of the county. It should be said that agriculture even now play an important role for the county. Scientist say that Spokane County is located in the center of the Inland Empire and includes such well-known territories as Valley plains, Palouse Hills, Selkirk Highlands and Okanogan. Spokane, the second-largest city in Washington State, serves as the business, transportation, medical, industrial and cultural hub of the Inland Northwest. Stevens County was created in 1863 and was named after the Washington’s first territorial governor, Isaac Stevens. The territory of the county is 2.541 square miles and the population is 43.430. Stevens County gets 20 inches of rain and 44 inches of snow per year. On average, there are 174 sunny days per year in the county. The climate is mild and comfortable. With four distinct seasons, unlimited recreational opportunities and a diverse economy, Stevens County is an ideal place to live and do business. Thurston County is found on the western part of Washington State and at the southern end of Puget Sound. It is the 8th smallest county in the state with the territory of 774 square miles. The population of the county is about 262 thousand. The largest city and its’ seat is Olympia. The county is often called the “South Sound.” Thurston County is located closely to the Cascade Mountains and Mount Rainier to the east and to the Pacific Coast to the west. The county is named after Samuel R. Thurston, who was the first delegate to Congress from the new Oregon Territory. ​Home to the State Capitol and the seat of Washington's state government, Thurston county is a hotbed of professional services. Wahkiakum County, located at Columbia River mouth, on its north bank, borders on three Washington counties (Pacific County on the northwest, Lewis County on the northeast and Cowlitz County on the east) and two Oregon Counties on the south (Columbia County and Clatsop County). As of the year 2014, Wahkiakum County has a population of 4,067 people, which makes it number two in the list of the least populated Washington counties. With the total area of 287 square miles Wahkiakum County is number one in the list of Washington smallest counties. It was created in 1854 by setting aside some lands from Cowlitz County. The county got its name from Chief Wakaiyakam of Chinook tribe, the meaning of which is interpreted as “Tall Timber”. Wahkiakum County is progressing with many new street improvements and housing developments, old buildings being remodeled into office and retail spaces, and future plans for an industrial business park to incubate new businesses. Walla Walla County can be found in southeastern part of Washington State. 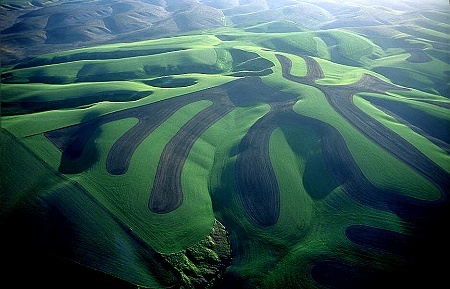 The economy of Walla Walla County is based on agriculture with wheat being the main crop cultivated here. Peas, corn, asparagus, onions, barley and various vegetables are also growing here. The county is well-known for its Sweet Onion, which was developed by Walla Walla growers throughout several generations and in 2007 became the state vegetable of the State of Washington. 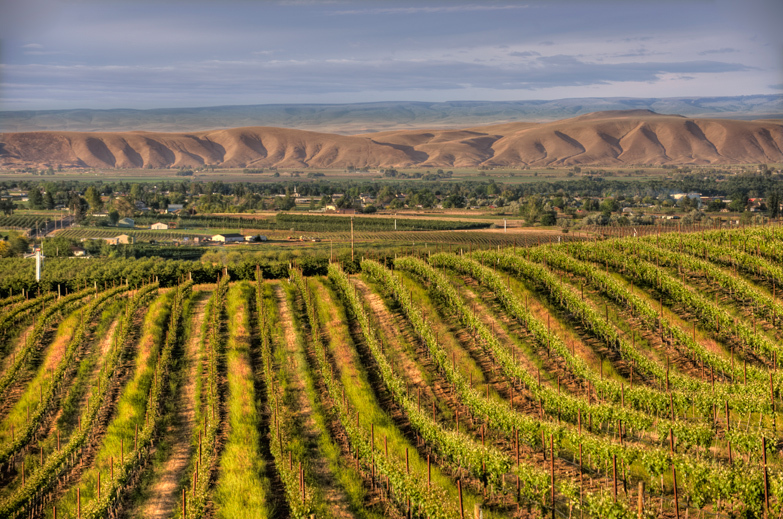 Walla Walla County is home for two farms, which are considered to be the biggest in the world – the Snake River Vineyard, which is renowned as the largest vineyard growing Concord grapes, and Broetje Orchards, growing apples. 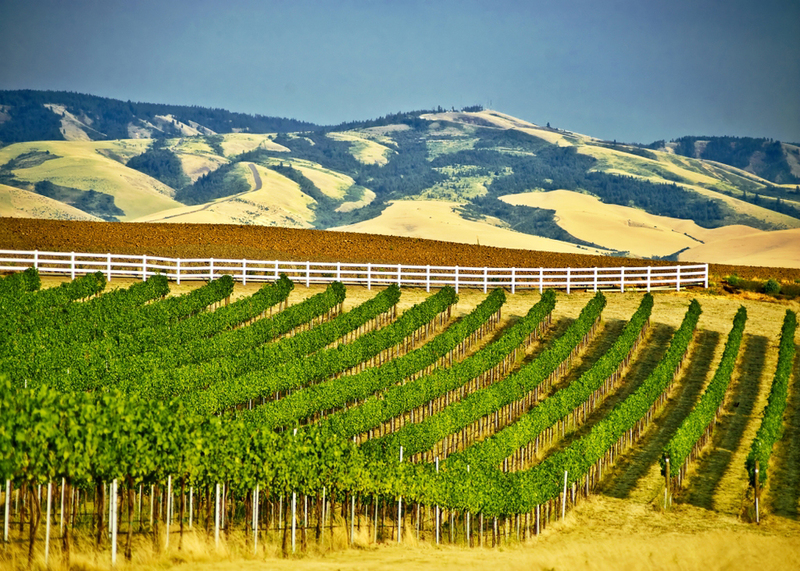 Wine industry has also been rapidly developing in the county throughout last half of a century, with more than 100 wineries created only in Walla Walla Valley. With three colleges, Walla Walla County businesses find a competitive and well-trained workforce that provides a diversified economy. Whatcom County contains a huge amount of natural features making it very popular among the tourists. Amazing ocean side, gorgeous mountains (including the mountain peak with the greatest number of photos made of it – Mount Shuksan, and Mount Baker, which is the county’s highest point), numerous parks, lakes, campgrounds provide the residents and visitors of Whatcom County with countless recreation and entertainment options. Whatcom County is also famous for its raspberry production, being the major grower of raspberries not only in the county, but in the whole Washington State. 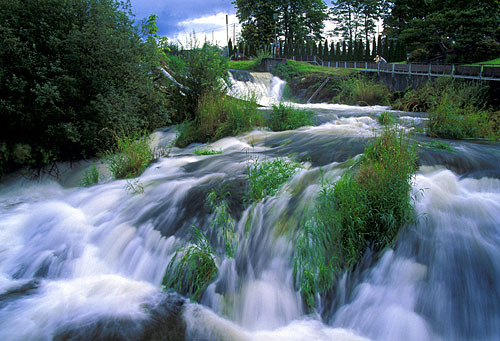 The name of the county originates from Lummi dialect and means “noisy water”. The biggest city of Whatcom County is Bellingham, which is also the county seat. Whatcom County's leading edge data and telecommunications resources plus an emerging technology cluster make it a desirable business setting while creating a climate for business growth. Whitman County is an agricultural area. It is number one county in production of wheat in Washington State and number to wheat producer in the US. Barley, lentils and dry peas are among other crops grown here. Whitman County is a home for Washington State University, located in Pullman, which is currently the largest employer in the county and the largest economic asset. 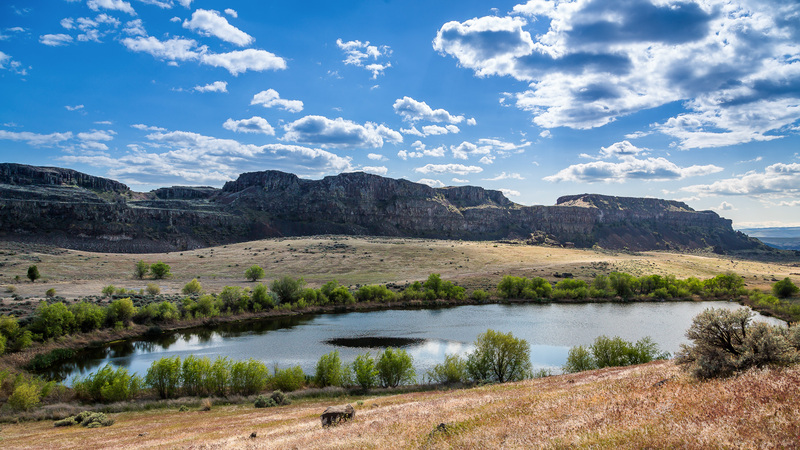 Located on the rolling hills of Palouse River and its creeks, Whitman County may boast of its beautiful landscape and numerous recreation possibilities. This place offers its visitors the peace and quietude of the country life. Businesses in Whitman County find an abundance of hydroelectric power and natural gas, available industrial park sites, commercial property, sufficient infrastructure, excellent transportation systems, access to research and education, leading-edge telecommunications and a comfortable lifestyle. ​The diverse landscape of Yakima County includes gorgeous densely forested mountains in the western part of the country (together with Mt. Adams, which having the height of 12,281 feet is the tallest peak in the county and the second-highest mountain peak in the state), and lovely river valleys at the center and in the south of Yakima County, as well as rolling hills and wide meadows, covered mostly by arid sagebruch in the eastern part of the county. Such diversity allows the county to offer its residents and visitors an exceedingly wide range of various recreation opportunities. Yakima County is an agricultural county, being the leading producer of hops, apples, peppermint, corn and grapes in Washington State. The county’s manufacturing is also based on food processing. Yakima County's accessible location gives businesses efficient access to Pacific Northwest markets, and the region's affordable, sunny lifestyle spurs employee satisfaction.